Four D.C.-area members of Congress said they’ll urge colleagues to provide an increase in money to U.S. Park Police in the wake of an investigation by the News4 I-Team. 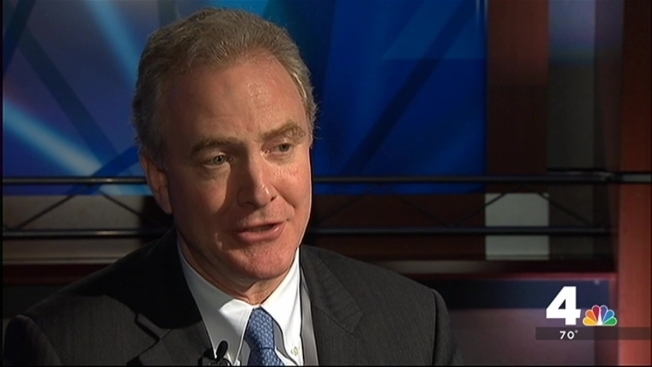 Rep. Chris Van Hollen (D-Md. ), Rep. John Delaney (D-Md. ), Sen. Ben Cardin (D-Md.) and Rep. Don Beyer (D-Va.) have issued public statements supporting a budget boost for U.S. Park Police to help the agency purchase a replacement to its aging helicopter fleet. “Whenever you have a system that’s already reached the end of its useful life and been kept going through extraordinary measures, you have to be concerned about the safety risk,” Van Hollen said. “These vehicles are necessary for the national capital region, and it's time for Congress to fully fund a replacement for the aging fleet," Beyer said.